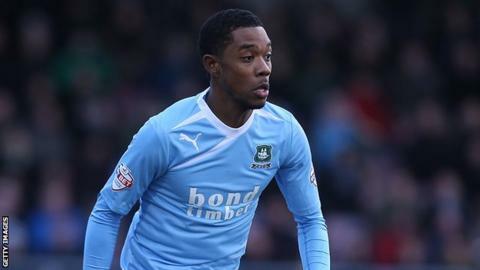 Plymouth Argyle ended their three-game losing streak by sharing the spoils with Hartlepool at Home Park. Jason Banton scored a superb opener for Argyle as he glided past a host of defenders before shooting into the far corner of Scott Flinders' net. But Jack Barmby secured a point as he latched on to Durrell Berry's loose back-pass and lobbed Jake Cole. Argyle skipper Conor Hourihane could have won it in stoppage time but his free-kick hit the frame of the goal. Match ends, Plymouth Argyle 1, Hartlepool United 1. Second Half ends, Plymouth Argyle 1, Hartlepool United 1. Conor Hourihane (Plymouth Argyle) hits the left post with a left footed shot from outside the box from a direct free kick. Foul by James Poole (Hartlepool United). Jack Compton (Hartlepool United) hits the right post with a left footed shot from outside the box. Corner, Plymouth Argyle. Conceded by Scott Flinders. Attempt saved. Reuben Reid (Plymouth Argyle) right footed shot from the right side of the box is saved in the bottom right corner. Attempt missed. Jordan Richards (Hartlepool United) right footed shot from the right side of the box is too high. Corner, Hartlepool United. Conceded by Neal Trotman. Attempt blocked. James Poole (Hartlepool United) left footed shot from outside the box is blocked. Substitution, Hartlepool United. Jordan Richards replaces Jack Barmby. Attempt missed. Darren Holden (Hartlepool United) left footed shot from the centre of the box is close, but misses to the right. Corner, Plymouth Argyle. Conceded by Scott Harrison. Attempt missed. Connor Oliver (Hartlepool United) right footed shot from outside the box misses to the right. Substitution, Plymouth Argyle. Tyler Harvey replaces Romuald Boco. Attempt missed. Reuben Reid (Plymouth Argyle) right footed shot from outside the box is high and wide to the left. Andres Gurrieri (Plymouth Argyle) wins a free kick in the defensive half. Jack Barmby (Hartlepool United) wins a free kick in the attacking half. Foul by Romuald Boco (Plymouth Argyle). Substitution, Plymouth Argyle. Reuben Reid replaces Enoch Showunmi. Goal! Plymouth Argyle 1, Hartlepool United 1. Jack Barmby (Hartlepool United) left footed shot from the centre of the box to the bottom left corner. Attempt missed. Lewis Alessandra (Plymouth Argyle) right footed shot from outside the box misses to the right. Foul by Durrell Berry (Plymouth Argyle). Corner, Plymouth Argyle. Conceded by Connor Oliver. Substitution, Hartlepool United. James Poole replaces Jonathan Franks because of an injury. Connor Oliver (Hartlepool United) wins a free kick in the defensive half. Foul by Andres Gurrieri (Plymouth Argyle). Attempt saved. Conor Hourihane (Plymouth Argyle) left footed shot from the left side of the box is saved in the centre of the goal. Attempt saved. Jack Barmby (Hartlepool United) left footed shot from outside the box is saved in the top centre of the goal.